Located just 1.5 miles off campus and eligible for a "C" parking pass, yet near the bike trails to campus. Also, we provide our own private shuttle to and from campus and are located on the City Bus Loop. 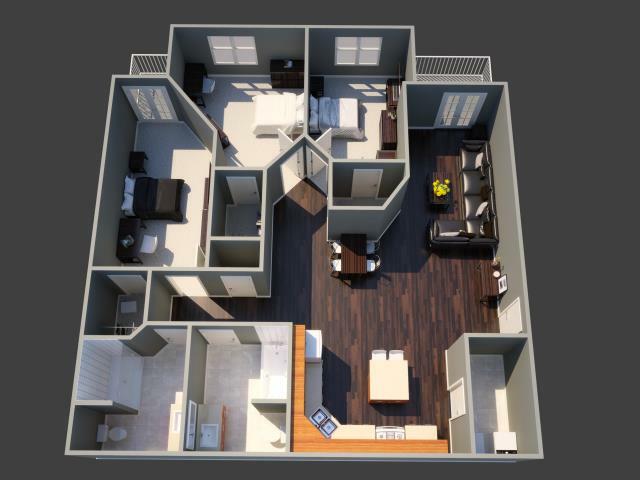 Our Community offers endless amenities to provide you with the Ultimate in College Living! !